Support and follow your library! The idea is simple: go on Twitter and mention your favourite ‘tweeting’ library. 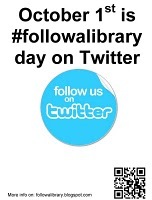 Follow A Library Day is taking place on October 1st and is an initiative from a group of information professionals who are placing on Twitter a global campaign to promote your local library. So whether it’s a national library, a local, city, regional or mobile library, get online, get on Twitter and let the world know on October 1st! If your local library is lacking a online presence or a social network presence this is a perfect opportunity to encourage them to get proactive and develop an online following and a growing network of supporters and readers. For more information see Follow-A-Library blog page. 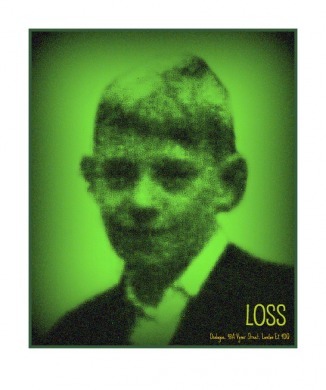 Family and Secrets in Claire Keegan’s “Foster”. William Trevor described the short story as “the art of the glimpse”. The form and structure of the short story could hardly be more aptly summed up, and it is an art form that is and has become synonymous with Irish writing. O’Conner, Joyce, Magahern, Montague, Tobin, McCann and others have made the short story an art form that presents the elemental nature of the story. Claire Keegan’s new book Foster is a single story published on its own, which deals with a young girl in rural Wexford who is taken in by a foster family for the duration of yet another of her own mother’s pregnancies. Winner of the Davy Byrnes Award, Foster is taut with secrets and delves into the community and family life of rural Ireland where everyone’s business is everyone else’s and if a secret survives it is so often to protect a dark shame. Keegan has perfected the art and poetry of the short story. Following on from her previous award winning collections Antarctica and Walk the Blue Fields, this new story examines and elucidates the family hierarchy and the role and identity of each member of the household. Foster invites the audience and reader to imagine the life of the young girl as she is uprooted from familiarity and security in knowledge of her surroundings to a place where she knows not the rooms in the house or even the clothes on her back. The young girl grows and realises she can adapt and is inherently stronger than she previously thought or knew. The secret of the house becomes her secret too and she takes on a vow to protect those whom she has grown to love. Secrets may be evidence of shame to some families, but here, this secret is an act of devotion from the girl to her foster parents. Each room and wardrobe in the house has its own story and history. The girl may be fostered into a new house but she must find her own place, her own voice and her own identity within. The death of a child in the house some years previous allows for an overbearing sense of emptiness and loss. Keegan’s skill is in also presenting a family that longs to be rid of its secret and its shame but fears being free owing to the suspicions and gossip of friends and neighbours. The secret owns the family. “Everything changes into something else, turns into some version of what it was before”. Here the girl contemplates on her own evolution, her own growth from child to womanhood. Her life becomes shaped by what and where she was fostered into. The transplant of her life into the life of another family who have suffered loss is an incredible story that Keegan masterly presents through the short story. This form works so well owing not to what is says but often to what it leaves out. As William Trevor said, it is the art of the glimpse. Foster is out now, published by Faber. Tomorrow will mark a nationwide and focused day of action and reflection for the country’s artists of all descriptions as they will meet with local and national representatives to raise awareness for the arts in Ireland. For any sector or industry in Ireland, it is unprecedented for a singular group and a minority group to lobby so forcefully and so successfully for national recognition from politicians. The day of action is vital as it represents solidarity across the arts sector and places the arts community firmly at the forefront of proactive national recovery. The value to the Irish economy from the arts sector and the associated tourism and national recognition this provides is worth tens of millions every year. ‘Brand Ireland’ is a term that has been espoused a lot of late in terms of Ireland’s international identity. Creating and maintaining this brand of Ireland as a vibrant, multicultural and artistic nation is a program that will be met by the arts sectors of Ireland and will contribute to making Ireland and all of its regions and cities a hub of cultural activity. The editorial comment in today’s Irish Times forces the fact the funding and also believing in the arts in Ireland is simply a good investment. The National Campaign for the Arts and tomorrow’s Day of Action will present a vision for the future and create and push that belief in the arts sector that every working member of the arts community has in spades. You’re lookin’ for Broadway?…Try Dublin! Patrick Healy, theatre reporter with the New York Times certainly agrees. On a summer visit to our capital Healy was wildly impressed with what he sees as a simply theatre-mad city and people. He acknowledges the various venues and productions that cater for most if not all tastes and budgets. Simply, if you want to see a play that you are interested in, then you can. While Healy’s article gives a glowing review, it may be tinged with the glad eye of an enthusiastic visiter on a short stay in the city, but what surely can’t be denied in the genuine enthusiasm there is for quality theatre in Dublin. Read Healey’s article to judge his experiences for yourself. Following on from Mannix Flynn’s and Farcry Production’s latest installations on Dublin’s Ormond Quay, Padded Cell and Other Stories and Janes X at the Abbey’s Peacock Theatre, Loss is their next and new production. Focusing on the experiences of the women of Ireland’s Magdelene Laundries and their ongoing campaign for recognition and justice and presenting the experiences of those who resided in Ireland’s industrial schools, Loss, is an encounter with a past buried and a reality yet to be faced for a nation and people. There will be a performance of James X September 18th at 8pm at Dialogue at 43A Vyner Street. This is a limited seating event.